The land in Africa lost to the Arab invasion must be reclaimed by Africans. 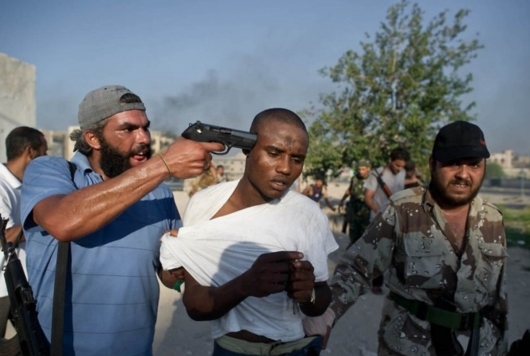 AFRICANGLOBE – Slavery is thriving in Libya, where thousands of Africans hoping to get to Europe instead find themselves bought and sold, forced to work for nothing, and facing torture at the hands of their owners. Slavery typically conjures up images of ships transporting Black people across the Atlantic, or the death marches of the trans-Saharan slave trade. But this modern-day version has added a cruel twist this time, people from equatorial Africa are often selling themselves into slavery, believing they are buying a ticket from a life of conflict, poverty, or repression to a glittering future in Europe. In a grim irony, the very policies of a European Union that is hardening itself against immigration are largely responsible not only for preventing people from reaching the continent, but their becoming enslaved and dying in their attempts to escape. But critics fear that without dealing with the root triggers of migration, these kind of border controls are short-sighted at best. Sealing one route simply opens another one. The question is how long is it sustainable, and at what human cost?